Perhaps the kids are signed up for swim lessons, you’re road tripping to the Black Hills, or they’re pitching on the mound all summer. At any rate there will still be days when you need some great reads and ideas for things to keep their little hands occupied. CRPL has you covered! Below is a list of great summer reads to get those creative juices flowing. Don’t forget to sign up for our Summer Reading program and get credit for these awesome books. We dare you! Happy Summer Reading! First there was a flamingo, then penguins and now Flora has found herself with two obstinate, if not beautiful peacocks. If you have read the first two books, you will love this one just as much. If you have not read the first two, go and read the first two! 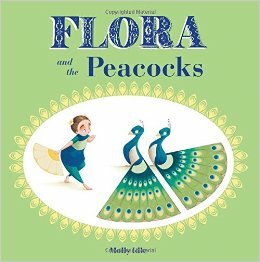 Flora finds herself caught between a peacock and a hard place (another peacock). She coaxes one, while the other looks on, then tries with the other making the first jealous. The interplay is where the magic happens. Lifting the flaps also slows the book down giving you poetic license to add any words you deem fit to complement the story and the characters. This is another beautiful read by Molly Idle. Thunder Boy Smith Jr. is at odds with his identity. His mother is Agnes; his sister is Lillian-both self-respecting names. His father is Thunder Boy Sr. People refer to him as Big Thunder. Being a Jr, the young boy has defaulted to the namesake Little Thunder, detracting from his mighty strength and other positive attributes and making him sound more like a “burp or a fart”. This is eating up the young man. He strives to think of other names that would be more fitting for him like “not afraid of ten thousand teeth,” or “touch the clouds”. In the end his father decides to give him a new name. It is a great one! You’ve just pulled out of the driveway and have rounded the first corner and not long after that you hear it- the question parents dread- “Are we there yet”. 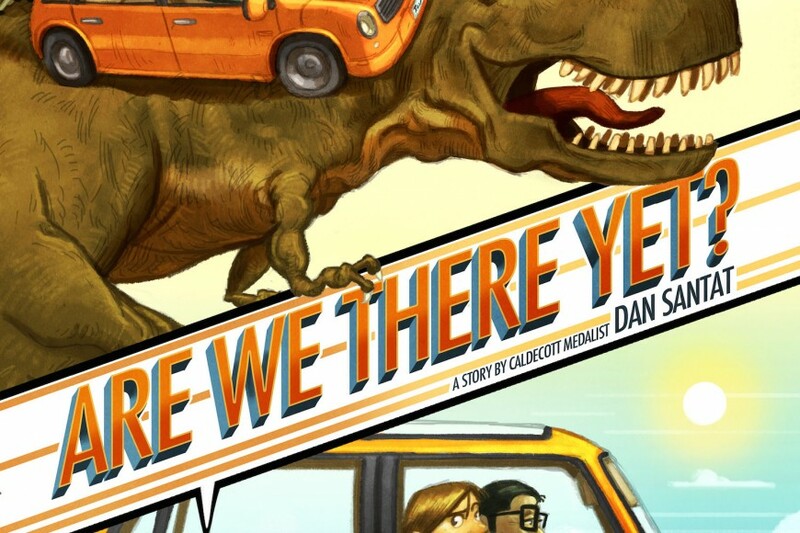 Caldecott winner Dan Santat, author of Beekle has written another great story about finding delight in the doldrums. The book takes us on twists and turns- literally and figuratively as we turn the book and twist though the plot. In the technological age, the chances for kids to be, well kids can be more and more difficult. 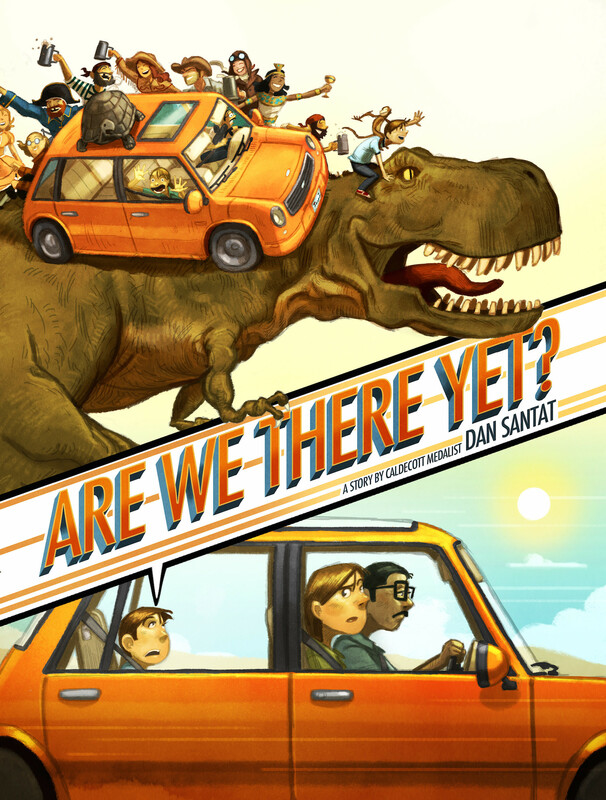 Santat reminds us of the importance of letting the mind sit, and wait, and wander and get bored. It is in those times that great things happen. We are forced to imagine, we are forced to create. Santat certainly takes us on a wild ride that should not be missed. Part photographic journal, part autobiography, Philip Stead invites us into a fantastical world of the everyday. The combination of drawings and pictures in this book are brilliant. Stead astutely intertwines art with life; something kids are naturals at, but also something that is drug out of them slowly as the years go by. The story is about a writer and his dog and their world. It is simple, whimsical and it is a wonderful way of showing children what stories are; how often they come from nothing- maybe just a turtle on a rock-into art. There are things to do with your daughter and then there are THINGS to DO with your daughter. 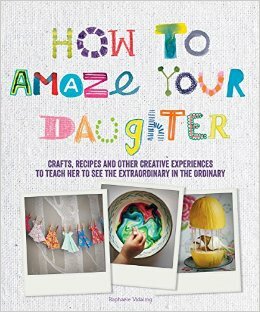 This book takes crafting and bonding time to a whole new level. Organized by activities to do together; decorations and other little precious things, for playing, experiments and magic tricks and you can eat it, this is one of the most exciting crafting books I’ve had my Mod Podge loving hands on. From a keepsake box of a dried Clementine (I promise you, it’s adorable,) to small fairy houses to adorable radish mice with long tails (trust me, your daughter will be wowed,) to story people made from stones, this books has some fantastic ideas to make, craft, build, paint and really amaze her. Don’t worry boys; we also have How to amaze your son!